Hats and Rabbits: Is Libel Still a Crime? I was going to write this as a kind of Swiftian "modest proposal" but it occurred to me, the longer I thought about it, that I am actually more serious about this than I thought. Libel is still illegal, right? Is there also a law against intentional dissemination of false information? What about irresponsible dissemination of bad information? There should be, if you ask me. What I think is this: there should be a fine for anyone who either intentionally or irresponsibly posts information that is not true or that falsely attributes statements to particular people. The ripples one bad post can cause can be very damaging if related to serious issues. They can also invalidate decision making in terms of things like voting. Sometimes, it is just a matter of a desire for faithfulness to history. Did Einstein really say what everyone wants to believe he did? 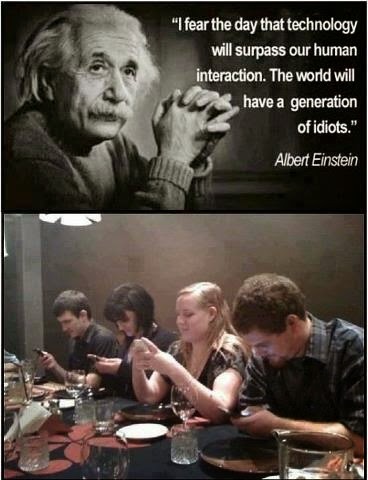 It's too easy to put a quotation on a picture of the man and pass it off as truth. 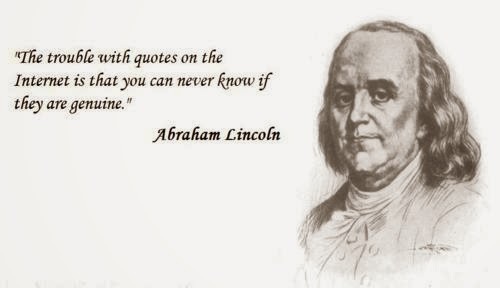 But how often do we see memes of politicians with quotations under them (usually under an extremely unflattering picture) that they never said. The people that post these have no criteria other than the fact that they want to believe it because they already feel a certain way about the person in question. Then ends do not justify the means when it comes to false attributions. I know it serves the purpose of a conservative to make us believe that a liberal said that he would vote for Karl Marx if he were alive; I know might bolster the liberal cause to make us believe that a conservative said that we should dig Burmese tiger traps to catch immigrant children and stop them from coming across the border, but, doing this is wrong. Period. It doesn't lead to discourse, it leads to brawling. It can even be seen as defamation in some cases, which is a crime. So, how about a fine for false postings. A small one, just to make a point. Or, maybe, a period of Internet lock-out? Surely some computer egghead can come up with an electronic form of universal Internet block. Am I totally serious? I dunno. I think there should be a consequence for handing out unresearched or intentionally false information. It may seem strange that I, the constant proponent of individual free will would say this, but, you have to have rules; balance is essential. Still, could you imagine New York City with no police at all? I love my freedom and I hate when cops get pushy and I think they should be brought to trial when they overstep their rights, but I sure feel better when I am on a lonely train platform at midnight in a big city and I see an officer standing there, too. The Internet is the virtual Wild West. It is New York before police. How much regulation does it need? In the end, I guess I am not proposing anything concrete. I just want to raise a question and to point our that this new electronic frontier often allows and sometimes abets criminal activity. Libel is often one of them. Libel is a crime. At the very least, people need to consider the use of sites like Snopes and Quote Investigator before they pass something along as truth. Nothing good can come out of indiscriminate posting and posting lies intentionally is downright damaging and immoral. Under English law, truth is not a defense against an accusation of libel. Under US law, false statements must be shown to have been made with malicious intent when they are made against a public figure. So the relation between falsehood and libel is a bit looser than one might think. But indeed it is better to tell the truth. Thanks for sharing the distinctions between English and American law, George. I didn't know that. Very interesting. I suppose I sort of mislead my own readers by intentionally blending together actual libel and mere misinformation and then using "libel" in the title. But you sum up my point, perfectly: better not to lie! I remember back in 2003 that Fox News won a case where the court unanimously agreed that intentionally distorting media information was not considered illegal. Distorted information has to have the intent of doing harm, as George stated, in order to be considered illegal. I think there are a few reasons for this. First of all, for some things, it's difficult to determine whether or not it's actually false. For example: about half of Americans think that Earth was created 6,000 years ago (I'm not sure if you believe this, so my apologies if I say something offensive). This belief is at complete odds with all scientific evidence; yet so many people believe it, I wouldn't be surprised if a court ruled this as "not necessarily being false," or something to that effect. For certain controversial statements that have ambiguous interpretations, you can't get them on intent, and a full investigation would have to be held to find whether or not it was actually falsehood. That's a lot of resources for such a (most of the time) petty crime such as lying. Working off of that, it would be incredibly hard, if not impossible, to regulate a universal "no lying" law (they already have no lying policies in some states, but those are just policies with little legal weight). We start lying from the moment we learn how to form our own coherent thoughts. I'm not a big fan of the whole "it can't be stopped" argument, but as far as I can tell for this situation, it seems to be very much true. And think of comedians: they might intentionally spread misinformation just to be funny. Some people might take that seriously, though. So then the question would be: to what extent, or under what conditions, does the context of a deliberately false statement protect the person who made it? On another note, we'd actually have to prove that the spreading of this false information was intentional. What if they were just ignorant of the truth? Anyone can claim ignorance of the truth in arguments of truth/falsehood, and that's all it would take to protect them (unless we go the route of "ignorance of the law does not protect you from it," in which case... that's a LOT of people breaking the law without them knowing it). But then you spoke of the internet. The thing is, minus a few international regulations for copyright holders and things of that nature, the internet has no central body controlling it. We have different sectors of the internet run by different people operating in different countries. If everyone on the internet had to report to a single network administrator, then it'd be very easy to block their internet access if they spread falsehood online; but we don't really. And even if we did, it's also very easy to create your own, independent network, and build your own computer (speaking from the perspective of someone who has done both of those things). The internet itself is unmanageable as a central body. As far as I know, the only conditions under which lying is illegal are if it is meant to harm another person (libel), or indirectly results in such harm. For example: if Jenny McCarthy promotes anti-vaccination propaganda, and that (provably) leads to someone refusing to vaccinate their child, and that results in their death, then Jenny McCarthy might be held responsible for indirectly causing the death of a child based on false information. As much as I hate the spreading of false information, I think this is how it has to be, because it really can't be any other way. True enough. That's why I teeter on the edge of a "modest proposal" and a real idea here. It is one of those damned shames we might be forced to endure because of circumstance, I guess.